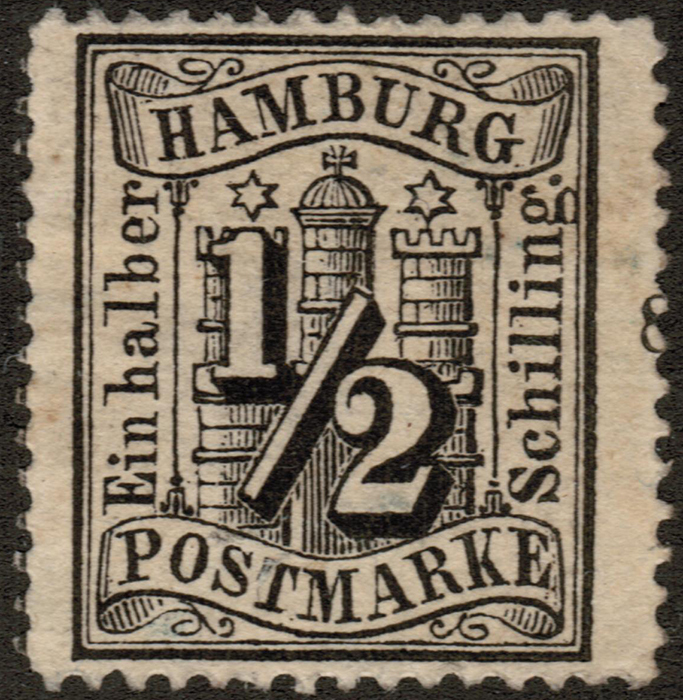 Mackay  notes that Hamburg's importance as a shipping hub is confirmed by the fact that, prior to this issue, stamps from six administrations were used: Schleswig-Holstein, Hanover, Prussia, Thurn and Taxis, Denmark and Mecklenburg. France and Britain had previously maintained post offices in the city. The stamps of the North German Confederation were used from 1868, although an undenominated lilac brown stamp continued to be used for local services until the stamps of the German Empire were introduced in 1872. Neither Scott nor Gibbons seem to list this local, described by Mackay. Image from Treasure Coast Stamps.